January see’s a busy time for printing up wedding invitations and stationery for us! 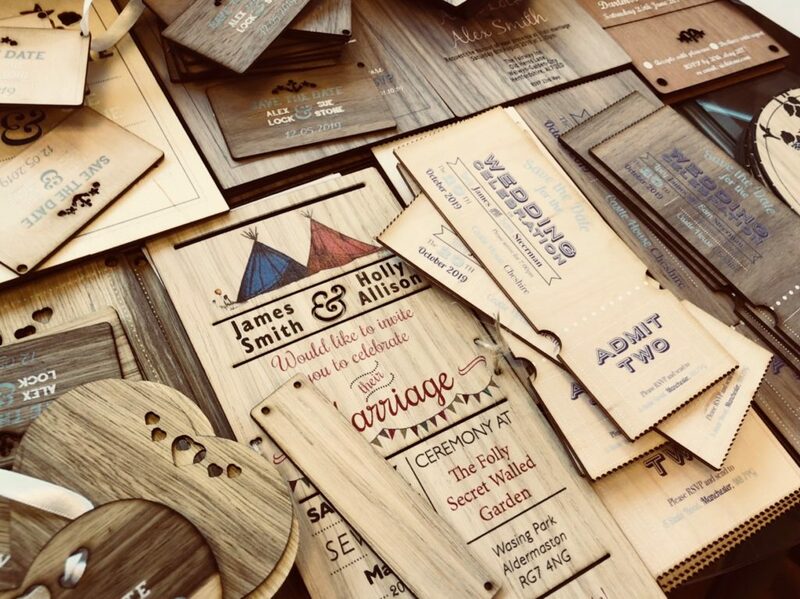 We are in the process of sending out 10 new orders of our wooden wedding invitations this week for weddings all over the country, all printed onto our famous wood stocks. We have the ‘Marque theme’, the ‘Invite theme and the ‘Nautical Theme’ amongst these and they look fabulous. If your planning your wedding and are looking for an invitation that is a bit different from the rest, something that your guests will want to keep after the big day as a keepsake, then our printed wooden invitations might be just for you.